Watches Shop is free and clean Joomla 3 VirtueMart template. 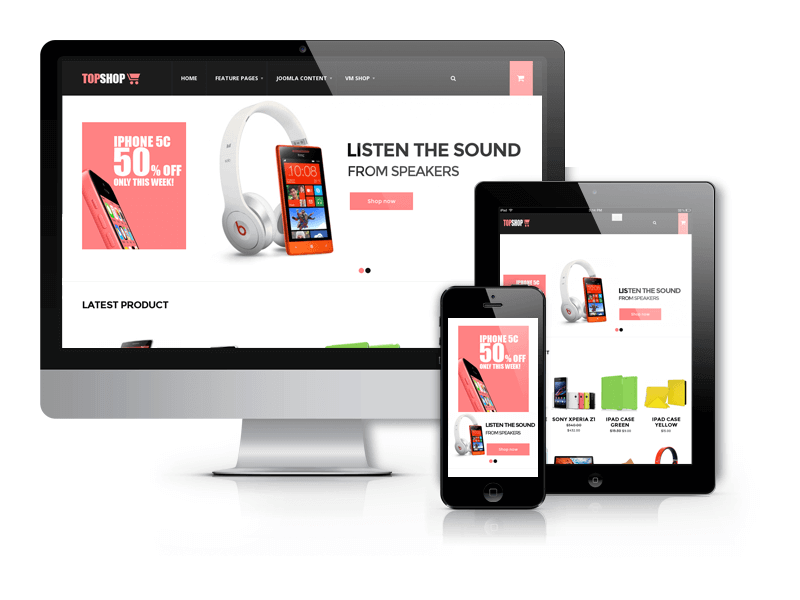 Watches Shop is fully responsive template, that adapts to the screen resolution of the devices - smartphones, tablets and desktops. This Joomla template may be used especially for watch store, but you can use it for any other type of eCommerce websites: clothing stores, gadget stores, tool stores, shoe stores etc. 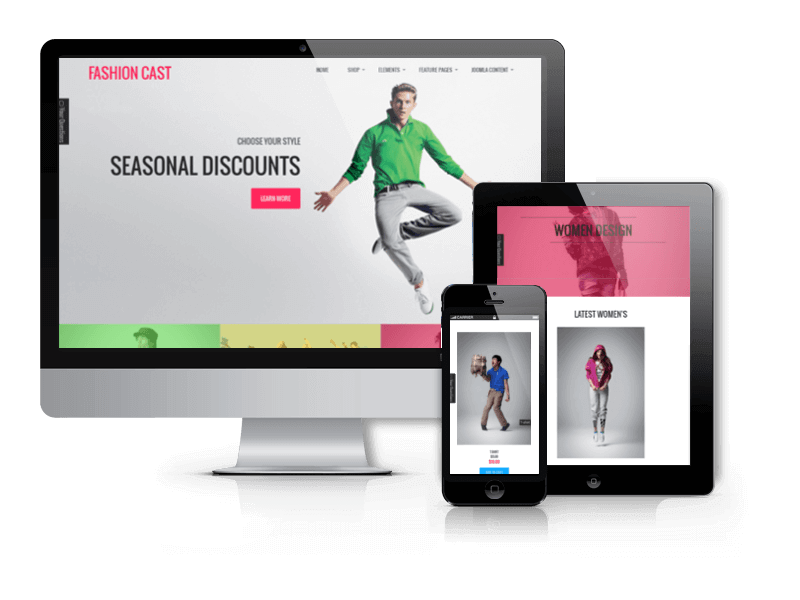 Template includes a lot of useful built-in features to help you build the best shopping websites. Modern and clear design is the guarantee of good sales, because your customer can easily find and buy the goods they needs. 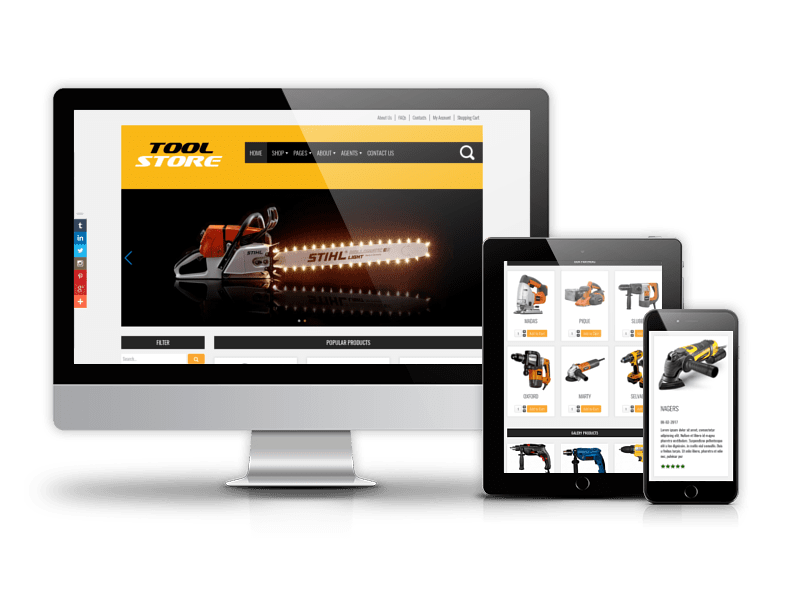 For this quickstart package is delivered with the necessary Joomla extensions, as well as a bunch of nice little things that make your online store more convenient. At the top of page we have placed OS Touch Slider (Free version). 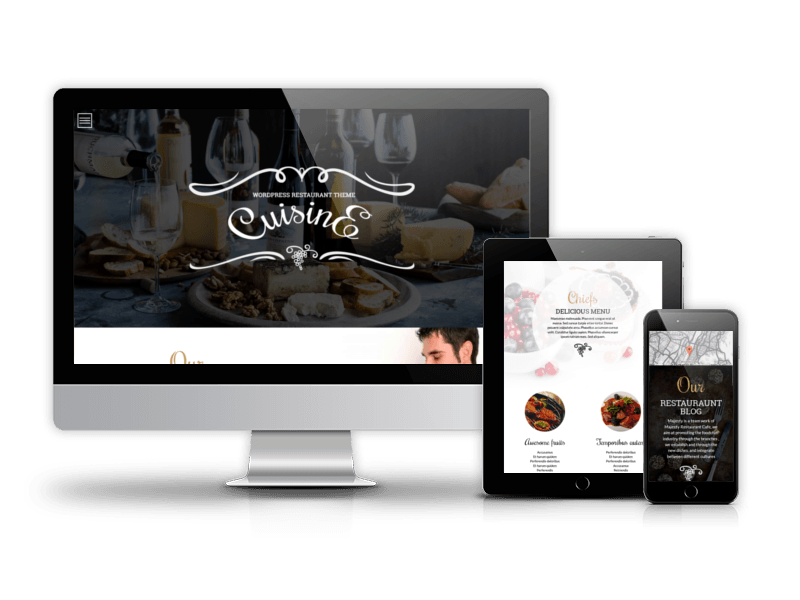 With it help you can showcase several your best products or promotions. 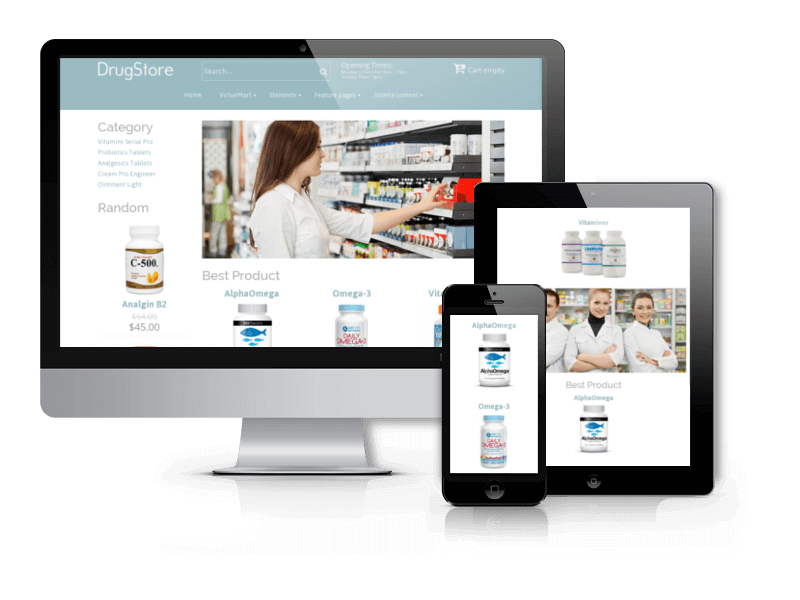 On the main page you also will find the section with goods, built on the VirtueMart 3 - the most popular eCommerce Joomla extension for creating an online store. 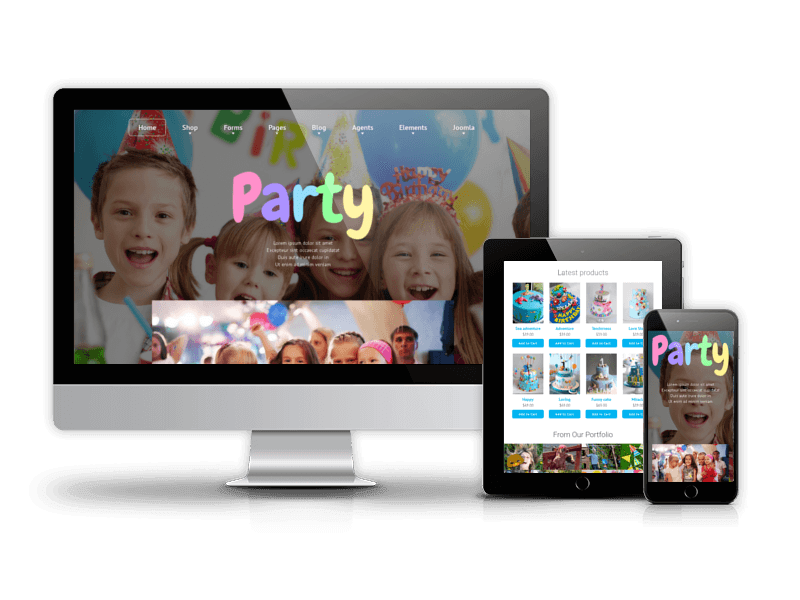 For the presentation of your showrooms or some portfolio we have provided a gallery, built on the OS Responsive Image Gallery (Free version). For your news use the blog section, built on the OS CCK - Content Construction Kit for Joomla (Free version). 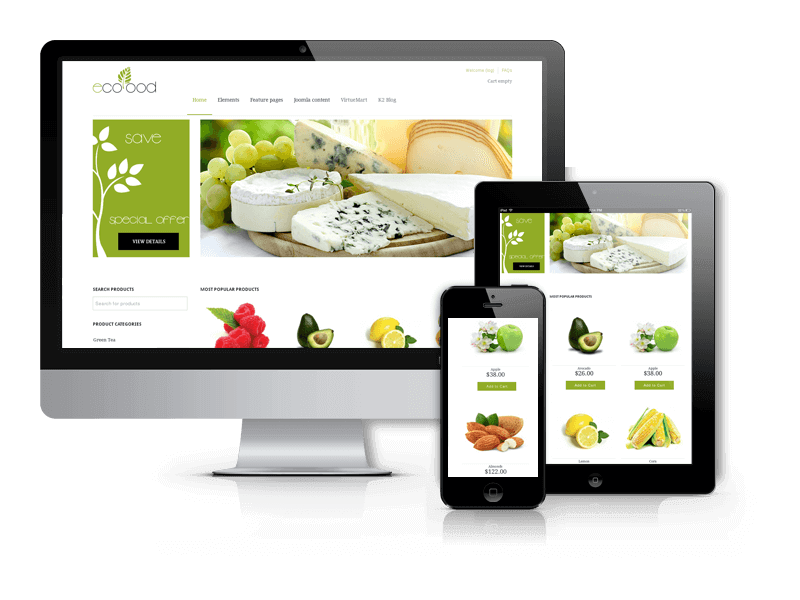 Also, your customers will be able to login to your website (with help OS Simple Membership - Joomla Membership Extension (Free version)), subscribe to your updates using the subscription form, share them in social networks and contact you using a working contact form, built on Balbooa forms. For a quick interaction with your watches shop website, we have placed a shopping basket at the top of the main page, so your customers will immediately see how many goods they have already chosen. Next to the shopping basket we have placed the creative search field for a quick search the new products. Install package easily and get your stylish online store in minutes. If your looking for a mobile ready, versatile design for your online shop Watches Shop is the best choice! 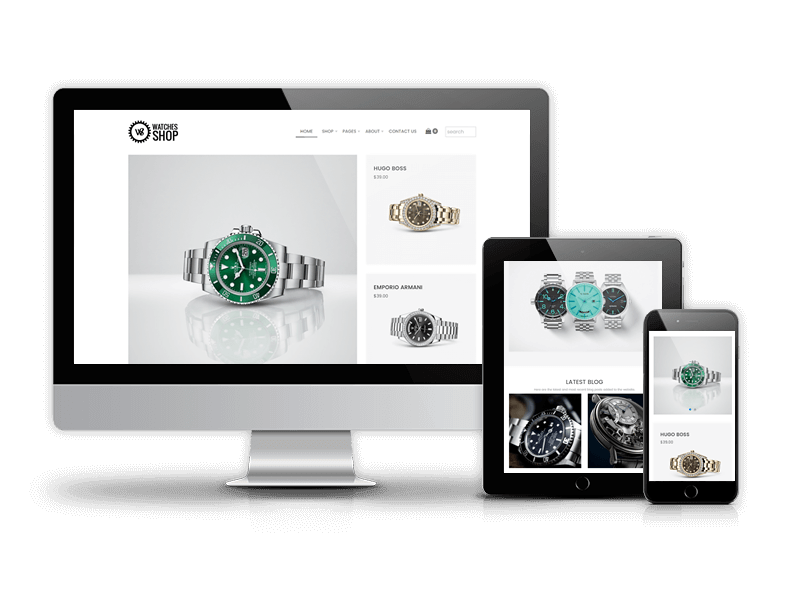 Watches Shop Joomla template fully compatible with all browsers: Chrome, Firefox, Safari, Opera and Internet Explorer 9+.